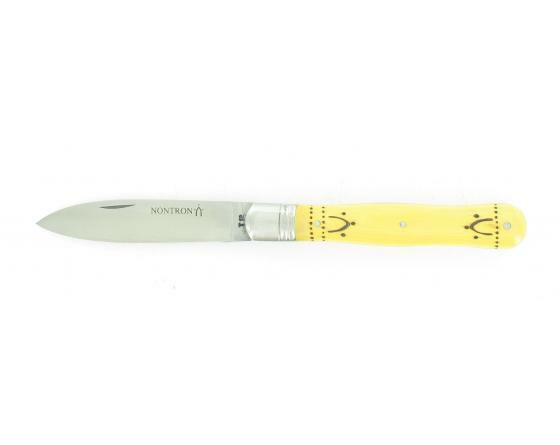 The Nontron knife is manufactured in a traditional old cutlery and original pocket knife is like no other. 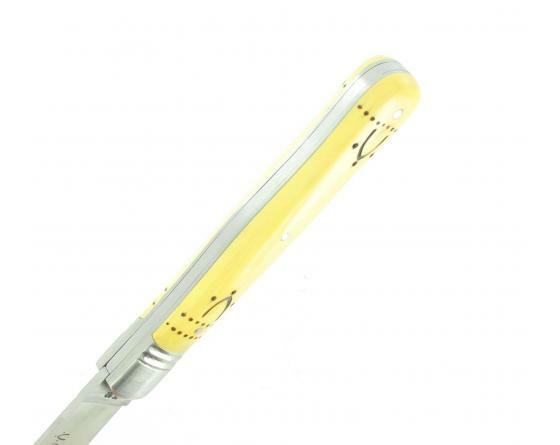 It is named after a small town in Dordogne (Nontron 24300) where the tradition of cutlery endures since the 15th century. 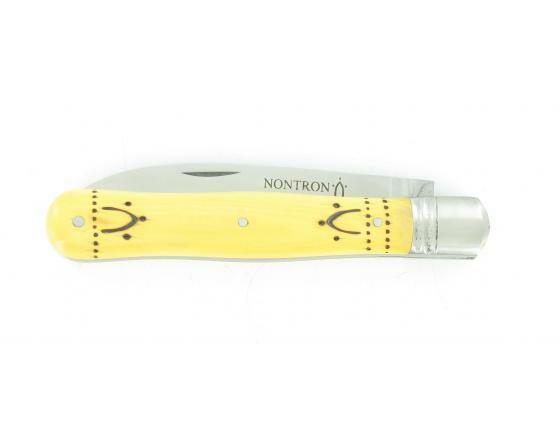 Today, Nontronnaise Cutlery develops and promotes a full range of pocket knives with traditional manufacturing quality in which each knife maker makes the knife from beginning to end. 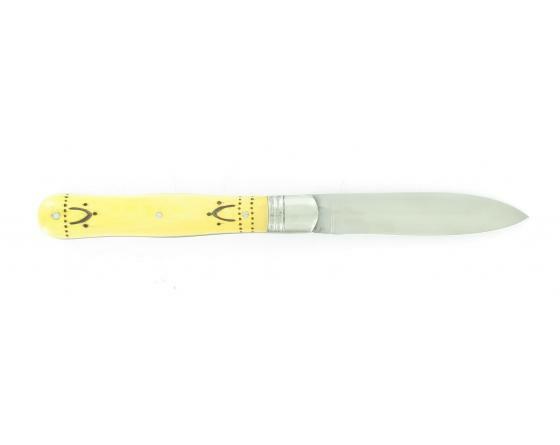 With specific gestures, delicate, almost slow, are carried out about thirty five operations account the realization of a knife, cutting the wood to its characteristic décor. The sleeves are worked hard wood like boxwood him is cut after 15 to twenty years. the wood dries in the open air for at least four years before being worked.